Stream Cadell's "Last Supper" & Watch His Video For "17"
Image via Once Upon A Grime. We&apos;ve got two new drops from Cadell for you today: the first is the "Last Supper", a menacing late-night banger produced by Family Tree&apos;s Splurt Diablo, and the second is the video for "17"—a brag-filled challenge to anyone who wasn&apos;t making bank before they were old enough to drink. "17", with its intro nodding to Wiley&apos;s "Wot Do U Call It? ", takes grime right back to its roots using a dark-and-dubby garage beat for its backbone, while Cadell lets his bold flow run free. "Last Supper", meanwhile, veers more towards the world of UK rap, with its rolling drums and sinister synths. 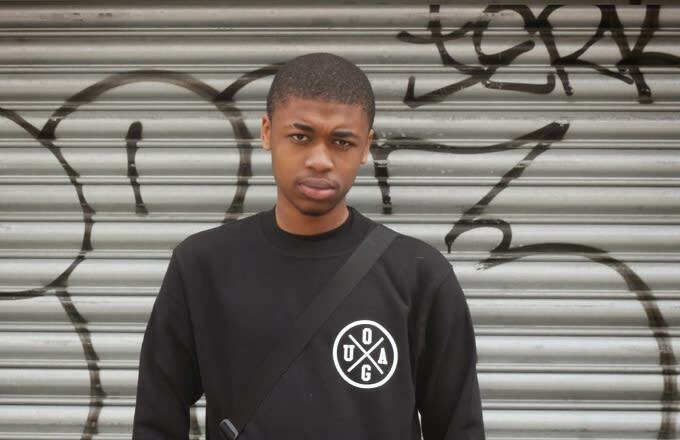 Get into both bangers below, and stay tuned for more from Cadell (who&apos;s also Wiley&apos;s little brother) very soon.